It’s Six Word Fridays! What are you in charge of? What are you charging towards? There’s lots of plays on this word over at Melissa’s blog, so go take a look! 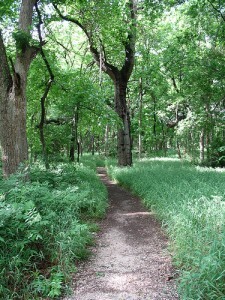 * Treed path image credit to just_a_name_thingie via Flickr. Your future is bright and so is today with the love you have in your life 🙂 Have a great weekend, Mel. Haven’t we all experienced this at one time or another? I love your take on it! Truth! The picture of a new path is perfect. I am terrible at the wait. I am horribly (horribly) impatient. I hope you get the news you’ve been waiting for soon!